With surf, turf and delicacies to excite any palate, I entered Turtle Bay Bar & Grill for an evening of exceptional food. 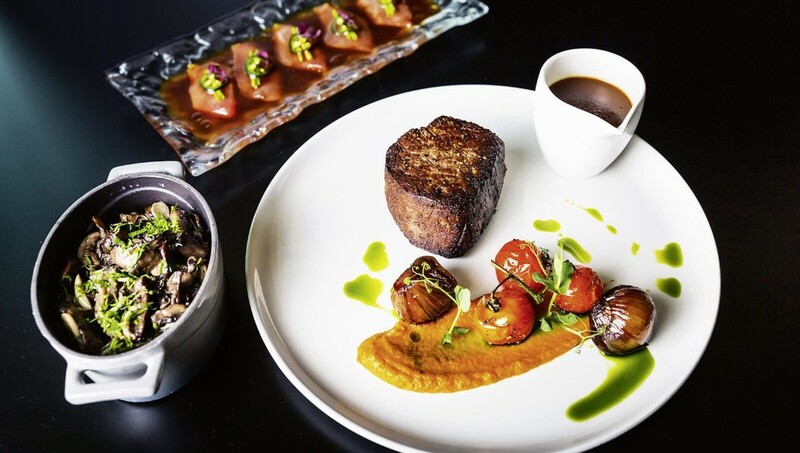 The restaurant is situated in the grounds of Saadiyat Rotana Resort & Villas with the brief sojourn creating a leisurely ambience before you arrive to the table. The two-storey venue offers al fresco dining upstairs, with a stunning rooftop terrace and beach views (if you arrive early before sunset) and a refreshing cool breeze to pair with your pre-meal beverage. Sitting in the downstairs restaurant we were handed a menu that would leave any meat lover drooling and sea food connoisseurs “clawing” (pun intended) for the wide variety of options, including locally caught fish. Unable to select between starters we agreed to share the crispy baby calamari and the hand cut steak tartare with triple cooked chips, which somehow tasted even better than they sound. 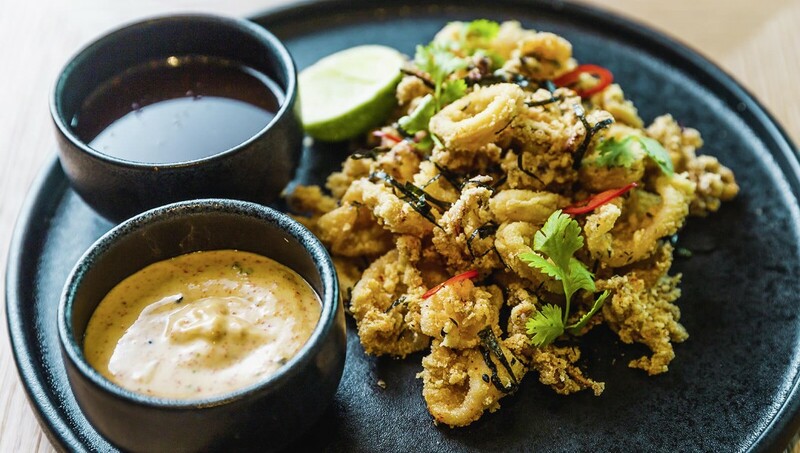 The calamari was cooked perfectly with a delicate batter and seasoning; a pet hate is ordering calamari where the batter does not stick. It's usually an issue with either the batter mix or because the calamari is still too wet and wont take the batter. I digress, but I'm very happy to report neither were an issue with this dish. The steak tartare was equally as delicious; fresh and bursting with flavour. If I had one small criticism it would be that the potion was quite large for a starter and I would personally like to see a little less on the plate. However, true to form I soldiered through and finished the entire plate. I am a great believer in less is more when you know you have three courses to enjoy. This menu offers an incredible selection of both beef and seafood but being brought up in a family of butchers there could only be one winner – the steak. With six different steak cuts I elected for the wagyu, grain-fed Australian sirloin cooked medium rare. And if that sentence doesn’t get a meat lover excited I don’t know what would. The steak arrived with the sour cream mashed potato and peppercorn sauce. I like a restaurant that serves the sauce at the side as for me it means they trust the quality of the meat to speak for itself and don’t need to hide anything with a sauce. I do not say this lightly, but this was one of the best steaks I have eaten in the four years I have been in the UAE. I have to be really honest and say that I ended up not even having any of the sauce but eating the steak itself with the shallots with which it was served. The meat was so tender it could have been cut with a spoon and it was truly the star of the show. In my eagerness to experience everything, and with some persuasion from our server, we were convinced to try some of the desserts. I asked the gentleman to bring whatever he recommended as I always think it's interesting to try what the team think they do best. I wouldn’t have taken this gamble with the steak, but being quite full at this point I decided to roll the dice. 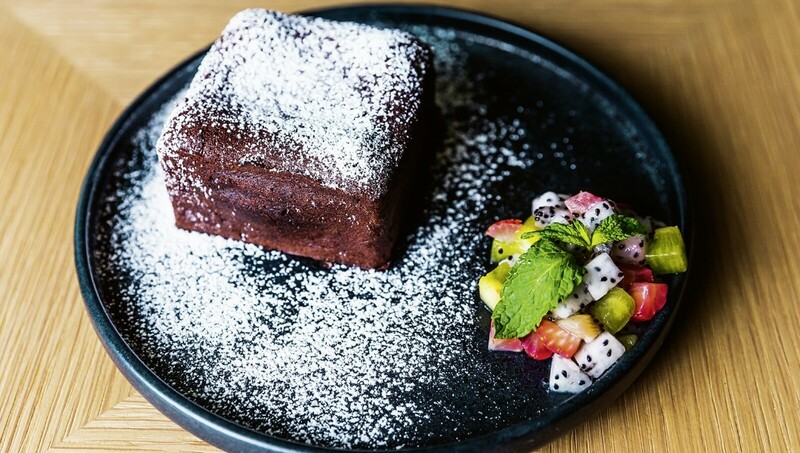 We were brought a moist and gooey chocolate brownie, with a small fruit salad at the side, complementing the chocolate nicely and adding a pleasant sharpness to the dish. The presentation of the dish was very impressive and I love a bit of theatre when cutting open the dessert. Namely the chocolatey centre oozing out. Additionally, we were brought a raspberry crème brûlée which worked well in contrast to the chocolate taste of the brownie. There is nothing worse than a crème brûlée where the caramelised sugar layer is not crispy and, to my delight, when hitting the top with my spoon I heard the crack. The texture was creamy, with each mouthful increasingly enjoyable and the sharpness of the raspberry (in generous quantities) taking the dish to another level. Lounging back in my chair I realised I had eaten far too much and pondered each of the dishes and how the meal all came together. 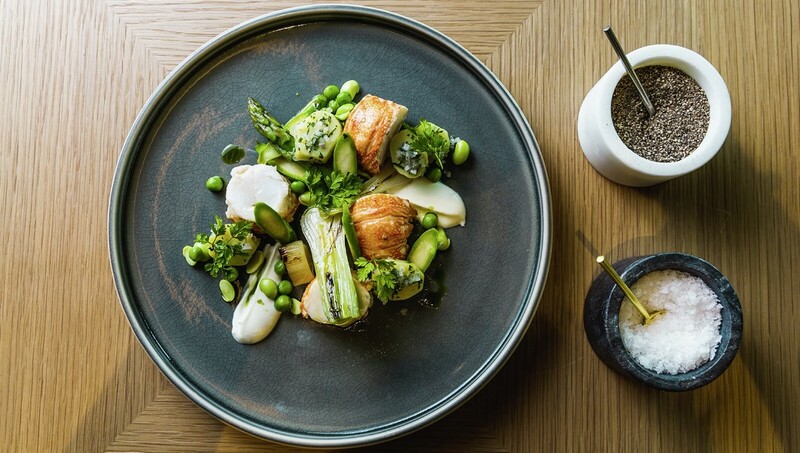 The restaurant is a flawless example of grilled food done well, with both character and imagination across the dishes. I would highly recommend a visit.